Do Safe Investments Carry Risks? All investments have a risk, even safe ones. You are exposed to the following risks with safe investments: Potential to lose principal, loss of purchasing power due to inflation, and illiquidity – paying a penalty to get your money. Let's take a look at how these risks affect how you might use safe investments in your plan. Although unlikely, on occasion people do lose money in safe investments. Below are a few possibilities. Work with your banker to create multiple account titles, such as one account titled in the wife’s name, one in the husband’s name, one that is jointly titled, etc. Spread your funds across multiple institutions. Some banks will even do this for you by participating in a program that will allow them to place your money in certificates of deposit with other banks. Use a brokerage account and inside of it purchase CDs from different banks. You have $250,000 of coverage at each institution, so if you had four CDs from four banks, each worth $250,000, you'd have a million dollars covered. Money market funds own short-term investments; some of these investments, such as commercial paper, are very short-term loans between companies. They are considered safe because the chance that a company will go out of business in the 30-120 days before the loan comes due is very small. In September of 2008, the safety of these funds came into question, as the financial health of many companies came under scrutiny. To ease concerns, the Treasury issued a temporary guarantee to people who had deposits in money market funds. The institution which issues your money market fund had to pay to participate in this guarantee program. That program is no longer in place. Money market funds are intended to maintain a stable price of $1.00 a share. In addition, they pay interest, although, in the current low-interest rate environment, many funds are paying almost no interest at all. Insurance companies are required by law to keep substantial amounts of capital that remain available to pay claims. The higher the rating of the insurance company, the safer their financial position, and thus the better their ability to pay claims. If the company that issued a fixed annuity policy goes under, the National Organization of Life & Health Insurance Guaranty Associations (NOLHGA) ensures that insurance policies are transferred to a health insurer. While this process is occurring, your annuity could be frozen, and the income and principal may be unavailable to you until the transfer of assets to the new company is completed. Assets in a variable annuity are considered assets of the policyholder, not assets of the insurance company, and thus assets in a variable annuity are not available to the insurance company’s creditors in the case of an insurance company bankruptcy. When you choose to make a safe investment it means your main investment objective is preserving principal, even if that means the investment provides you with less income or growth. If there is little interest income, you can actually lose purchasing power over time. For example, if your safe investment was earning 2% a year, and inflation was 4% a year, even though your principal is safe, when you go to spend that money it won't buy as many goods and services as it used to. This means you are actually losing purchasing power. Most people consider the risk of losing principal to be the biggest risk. However, if you have a long time frame, the loss of purchasing power due to inflation can work like erosion and cause just as much damage. If you have a long time frame, to avoid loss of purchasing power, consider moving some of your long-term investments into growth or income-producing choices. Many safe investments contain surrender charges, which means you'll pay a fee if you want to access your funds before the maturity date. The farther away from the maturity date, the less liquid the investment. In the case of certificates of deposit (CDs), the early withdrawal penalty may be small, such as a fee of three months worth of interest. 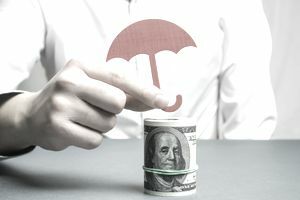 In the case of fixed annuities, the early withdrawal penalty can be large, such as a surrender charge as high as ten or fifteen percent of your investment amount. One of the advantages to bank savings accounts and money market funds is that the money remains liquid, meaning it is available to you at any time, penalty-free. If you are willing to tie your money up for longer periods of time, perhaps by using CD's or annuities, you will typically earn a higher current interest rate than you will earn in the more liquid, safe investments like savings or money market accounts.